This is the first of a two-part blog conversation about GAP analysis and the future of American ecosystems. What habitats do they prefer? What is the conservation status of the areas where they occur, and who owns the land? Mike collected reams of data over eight years, and even wrote a book, but the feedback he kept getting from land managers was, to put it in his own words, “Where’s the beef?” Serendipitously, as with so many great scientific inventions, Scott hit upon an idea for conveying the significance of his research. “I still remem ber my first presentation to state and federal agencies, including folks from The Nature Conservancy (TNC). One of the federal officials in attendance was dead-set against new protected areas. So I began showing one species map at a time, laying the disconnected protected areas on top, until finally the official shouted from the back of the room, 'Alright, Mike, I got the message!' The point was, protected areas at that time did not secure habitat for T&E species, and the GIS analysis put it in graphic form." 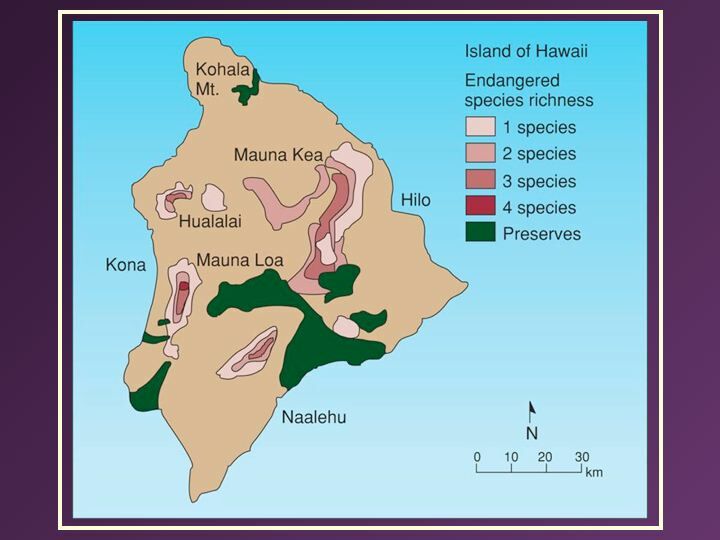 Through perseverance, continued refinement of the analysis, and some heavy-weight connections between a TNC staffer and Daniel Inouye, a new series of protected areas were eventually established in Hawaii: the Hakalau Forest National Wildlife Refuge, and additional sites on Maui and Molokai. That was Mike’s first GAP analysis. I agree with Mike. Having hiked extensively in the Rockies, I knew that most western protected areas were in the mountains and hosted low biodiversity. My years at the office of Endangered Species had taught me that to save an endangered species you need to staunch the causes of mortality. As a result I knew there was a significant disconnect between our funding allocations and on-the-ground species conservation. The question was, how to do it? “At that time, the idea of working on multiple species and saving them while still common ran counter to the current thinking,” says Mike. 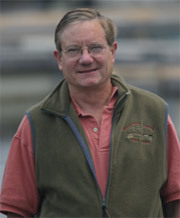 Along with two co-authors, Mike published his seminal 1987 paper about the new technique of GAP analysis in Bioscience, entitled “Species richness: A geographic approach to protecting future biological diversity.” He also moved to Idaho and began working on a statewide GAP analysis, with help from a National Fish and Wildlife Foundation grant that I approved in 1988. That same year, Mike Scott was able to establish a national GAP analysis program, later publishing a Wildlife Monograph about the GAP process. One of his studies was particularly relevant to private working lands. 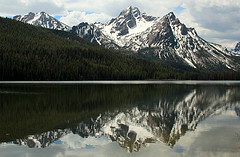 He looked at the distribution and ecology of U.S. protected areas. He found the highest protection was awarded to lands with the highest elevations and lowest productivity soils. Please return to the blog next week, for our discussion of conservation beyond rocks and ice.